Russia’s impending accession to the World Trade Organization (WTO) has sparked a boom of foreign business interest in the Russian economy. Couple this with the Russian governments’ concentrated investments in energy technology and you have a situation ripe for trade deals between American and Russian companies. As such, I am leading a trade delegation of American energy companies to Moscow, the first such energy-themed mission in the history of U.S.-Russian relations. Representatives from 12 American energy firms are accompanying me on a business tour of Moscow in search of export opportunities for American energy firms. The Russian market represents incredible potential and invaluable relationships – opportunities that America cannot afford to neglect. Successful investments in the Russian energy market could spur a windfall of job creation and economic growth at home while American companies rake in profits from these beneficial partnerships. We’ve watched U.S. merchandise exports to Russia double from 2005 to 2010, and then grow nearly another 40 percent in 2011 alone. American business exports to Russia now top $8 billion dollars a year. This is a market we must capitalize on. Recognizing this growth and potential, the Department of Commerce led an automotive technologies mission to Russia in April and was eager to do so again. 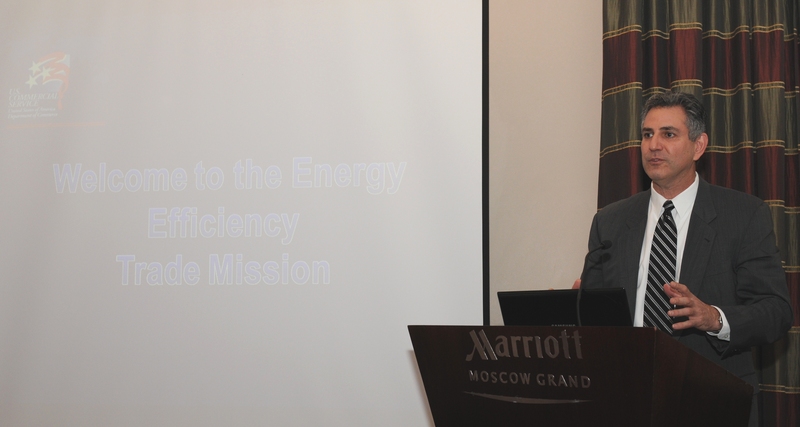 The Russian government is implementing an Energy Strategy that calls for energy efficiency, sustainable development, energy development and technological development, as well as improved effectiveness and competitiveness. The demand for affordable and efficient energy will only grow as the global economy evolves, a phenomenon that will continuously stimulate demand for high-quality, energy-efficient products and services. Appropriately, the companies on this trade mission can supply exactly that. As I highlighted in an opinion piece in The Moscow Times, many U.S. businesses on the mission have a particular interest in Russia’s focus on smart grids, green-building and road infrastructure. This mission is a historic event for both the American and Russian energy industries. U.S. companies, manufacturers, and workers already are global leaders in clean technology production and services. And that is why I am privileged to lead this mission to expand exports to the region, exports that will create jobs at home. As a nation, we should be proud of the expertise our companies offer, as well as the innovation and advancement we are known for. These investments today will pay dividends to our citizens tomorrow.